A humorous work about mushroom hunting packed with scientific information and beautiful photographs. I didn't know anything about morels other than hearing about them years ago from my junior high school math teacher (who seemed obsessed with collecting) when I lived in Indiana. A recent trip to Dayton, OH during mushroom season, raised my curiosity with a couple of articles on the subject of "'sroom hunting." If you love mushrooms, but have never tasted a morel, it just might get you craving one like I did after reading this! Excellent! I have more knowledge about these mushrooms than I ever thought I would after just about a day of reading. Hopefully this will translate into finding some. Michael Kuo's wisdom has been indispensable in my newest hobby, and this book was no exception. 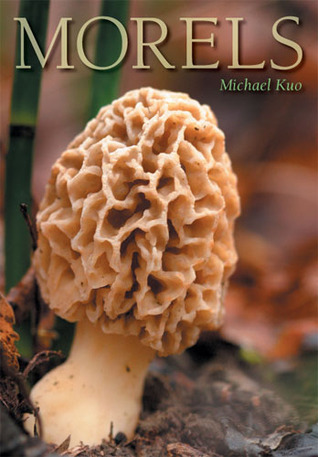 If you are a fan of Morels, you will love this book! Good clean fun! Very well done book...fun and pretty informative!If you love Morels-You will love this book...Give her a shot!